If you like claw machine videos, you've come to the right place! Links to other YouTubers will be added, so come back soon! Originally introduced in 2007, Allen's "Skill Crane 101" video kicked off a series of tutorials, discussing several different types of claw and control mechanisms, as well as some suggestions on how to maximize winning potential. Allen (The Outclaw) is the creator of BeTheClaw.com. Click here to visit Allen's YouTube channel. 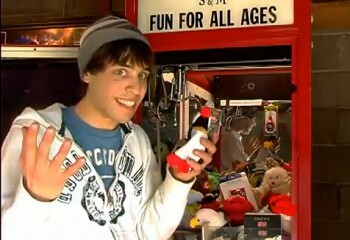 Matt's two-part tutorial, "Tips of the Claw Machine" and his "How-To" videos gave way to an exciting and hugely popular YouTube series, "Journey to the Claw Machine". 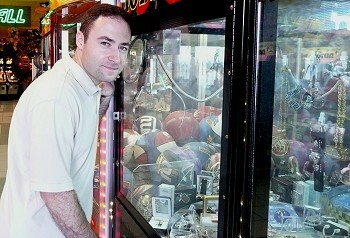 Check out Matt's tips and then take a trip into the exciting and often frustrating world of claw machines! Click here to visit Matt's YouTube Channel.